Posting at the Brooklyn Navy Yard during the 1918 Spanish Flu pandemic. From January 1918 through December 1920, humanity suffered through the one of the worst pandemics of infectious disease for the last 100 years or so. 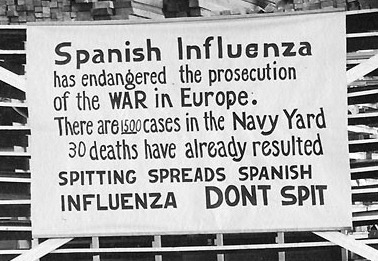 The world was hit by what was called the Spanish Flu (not because it started there, but because news of the flu was censored in most countries involved in World War I, but Spanish news wasn’t censored, so it appeared that Spain was being devastated by the disease). According to conservative estimates, despite how antivaccination cultists portray flu pandemic estimates, nearly 500 million people worldwide were hit with this flu, and somewhere between 50 and 100 million people died, nearly 5% of the world population at the time. Moreover, the majority of deaths were amongst healthy young males, not, as antivaccination tropes often claim, just to those who are sick and weak already. A recent article called the 1918 flu pandemic the “mother of all pandemics,” and not just for some rhetorical, literary effect. In fact, the 1918 flu, an H1N1 subtype, is the mother of nearly all subsequent influenza A (for avian) pandemics since 1918–in other words, the original H1N1 subtype has mutated into nearly all of the other subtypes of avian flu. For example, H2N2 influenza A viruses, which derived from a mutation in the H1N1 subtype while it circulated in birds, were the cause of the 1957-1958 pandemic, which killed nearly 1.5 million people worldwide. Currently, the H2N2 subtype has disappeared from humans, but it persists in wild and domestic birds. Claims that the subtype is extinct are premature. 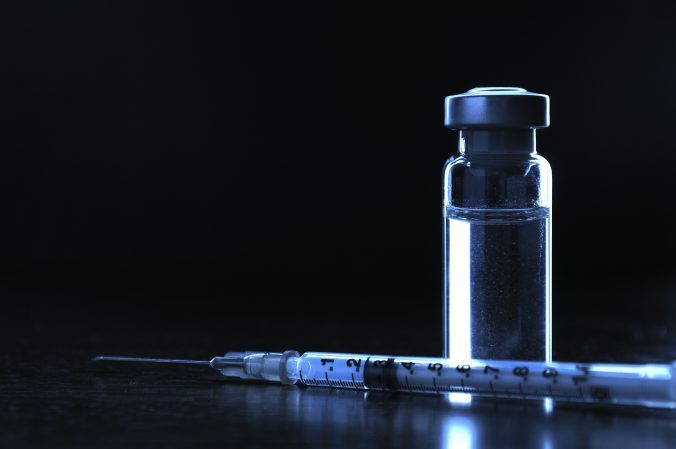 Unfortunately, a potentially dangerous reemergence of the H2N2 subtype in humans continues to be a significant threat due to the absence of immune system memory of the H2N2 within the adaptive immune system of individuals under the age of 50. In other words, those individuals who were born after 1963, have no immunity to H2N2, and may be susceptible to it. The point of this story is not to say that a global apocalyptic event is just around the corner, but it could be. It’s just that if you speak with any infectious disease specialist, their greatest fears are HIV/AIDS and influenza, not some obscure novel pathogen arising quickly then dying out of existence. The influenza A virus mutates quickly, allowing it to avoid human humoral immune responses, it transmits from other species to humans easily, it spreads quickly, and it can be deadly. As recently as 2009, the H1N1 pandemic killed approximately 150,000-500,000 people worldwide. Of course, the CDC constantly monitors when the virus jumps from the bird reservoir to humans, and if given enough time, can prepare a vaccine to help prevent it. Let’s hope people are smart enough to get it. Jones JC, Baranovich T, Marathe BM, Danner AF, Seiler JP, Franks J, Govorkova EA, Krauss S, Webster RG. Risk Assessment of H2N2 Influenza Viruses from the Avian Reservoir. J Virol. 2014 Jan;88(2):1175-88. doi: 10.1128/JVI.02526-13. Epub 2013 Nov 13. PubMed PMID: 24227848. Taubenberger JK, Morens DM. 1918 Influenza: the mother of all pandemics. Emerg Infect Dis. 2006 Jan;12(1):15-22. PubMed PMID: 16494711; PubMed Central PMCID: PMC3291398. Previous PostPrevious How would you treat info from a writer who was supported by Big Pharma?